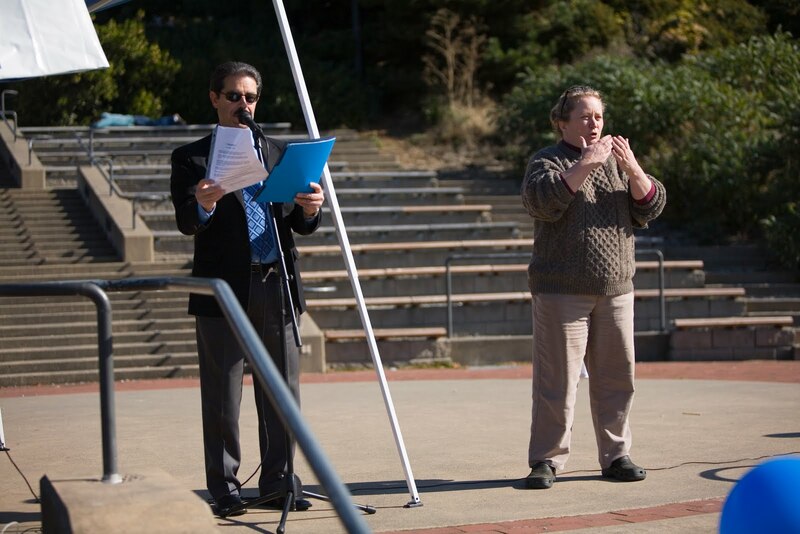 County Executive Pete Kremen and Bellingham Mayor Dan Pike have declared October 2nd Down syndrome Awareness Day! (Click here for a copy of the official proclamation.) Both officials will be on hand to open The Arc's 7th Annual Buddy Walk on October 2nd. "People with Down syndrome are active participants in community life in Bellingham," Mayor Pike said. "I am pleased to join in celebrating the accomplishments of children and adults with Down syndrome, and in efforts to make other community members aware of these accomplishments as well as Down syndrome programs and issues." Click here to download a pledge sheet! The Buddy Walk® was established in 1995 by the National Down Syndrome Society to celebrate Down Syndrome Awareness Month and to promote acceptance and inclusion of people with Down syndrome. Today, the Buddy Walk program is supported nationally by NDSS and organized here in Whatcom County by Down syndrome Outreach and The Arc of Whatcom County. Over the past fifteen years, the Buddy Walk program has grown from 17 walks to more than 300 across the country and around the world. Last year alone, 250,000 people participated in a Buddy Walk! They raised more than $9.5 million to benefit local programs and services as well as the national advocacy initiatives that benefit all individuals with Down syndrome. The Buddy Walk is a one-mile walk in which anyone can participate without special training. It is a wonderful, heart-warming event that celebrates the many abilities and accomplishments of people with Down syndrome. Whether you have Down syndrome, know someone who does, or just want to show your support, come to the Fairhaven Green on October 2nd! 7th Annual Down syndrome Outreach Buddy Walk!